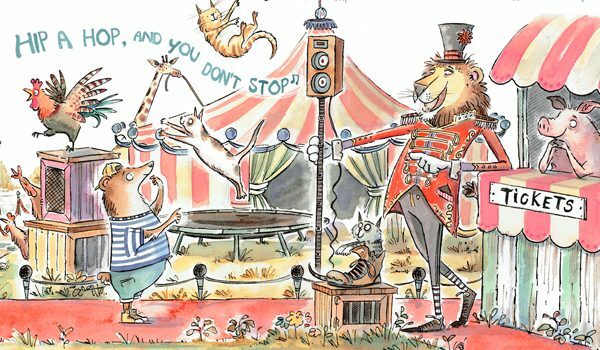 I was recently commissioned by musician Lorie Wolf to illustrate four spreads to help push her book ‘The Beat Box Circus’. 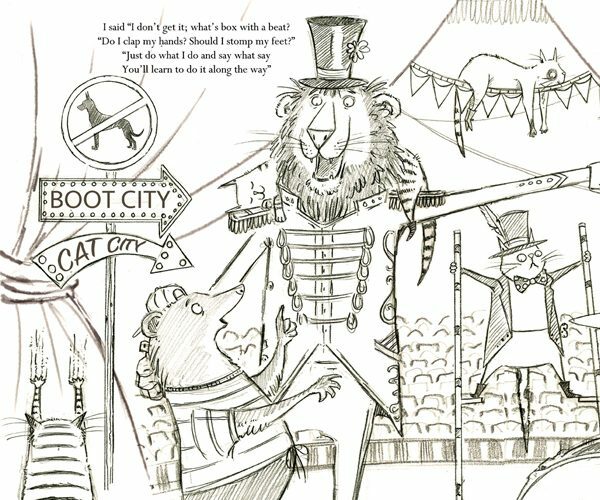 The project involved drawing all sorts of happy animals performing tricks alongside decorative text that if read fast enough will allow you to create a drumming beat with your tongue. 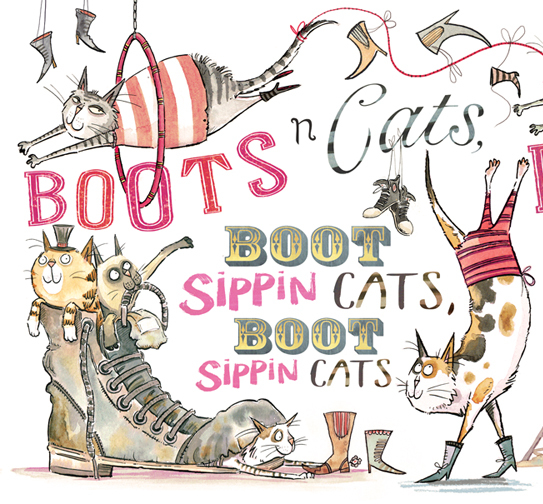 For example try this: Boots n Cats, Boots n Cats. Boot City Cat City, Boot City Cat City.